THERE will be a record intake of S1s joining Lockerbie Academy this August. In the past five years the academy’s roll has increased overall by 30 per cent and will be boosted even more with the arrival of 180 new pupils expected after the summer. And there’s a bumper crop of P1 pupils joining the primary side also, with 55 boys and girls enrolling in just a two day period this week. Brian Asher, campus head teacher, has praised the efforts of staff and pupils for helping to make Lockerbie a school that many want to call their own. 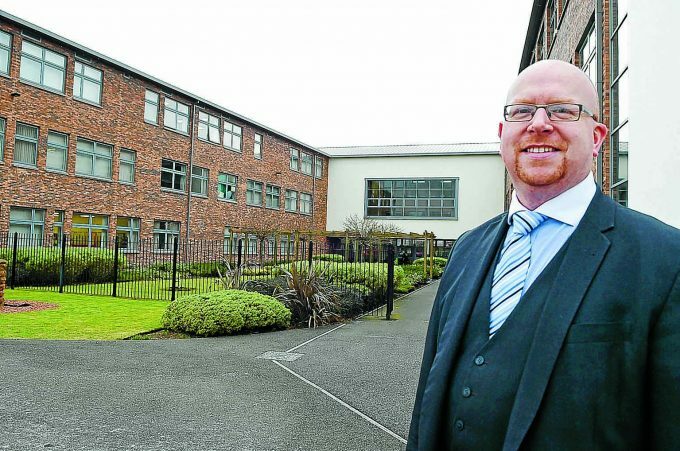 He said: “Lockerbie Academy will see the biggest ever S1 intake. He added: “Enrolments for P1 are ongoing this week and have exceeded our expectations in just two days – we expected 50 at the most and have 55 already. “Lots of hard work is going on in the primary with strong partnership and support of the Parent Council.